I ask that for a couple of reasons. First off, HOLY COW, I HAVE A LOT OF PLANNING TO DO! Shopping, baking, wrapping, mailing! I’m not sure why I’m accusing Christmas of sneaking up on me. Clearly, the fault lies in my lap, not the calendar’s. But I’m also just completely amazed that we’ve been at this for a year! Well, a little over a year, but I didn’t come on board until January, so it’s feeling like my anniversary is coming up. Wow – can I just stop and gush for a minute, and let you know how very thankful I am for this blog, and all of you who read it? This is the best job in the world, and I am truly grateful for it. Will Jennifer Aniston and beau Justin Theroux make it official over the holidays? Only time will tell. File under the heading What? WHAT?? Jay Cutler and Kristin Cavallari are on again with a wedding planned for next year, after calling off their 2011 at close-to-the-last-minute. Um. K.
Live in New Jersey? 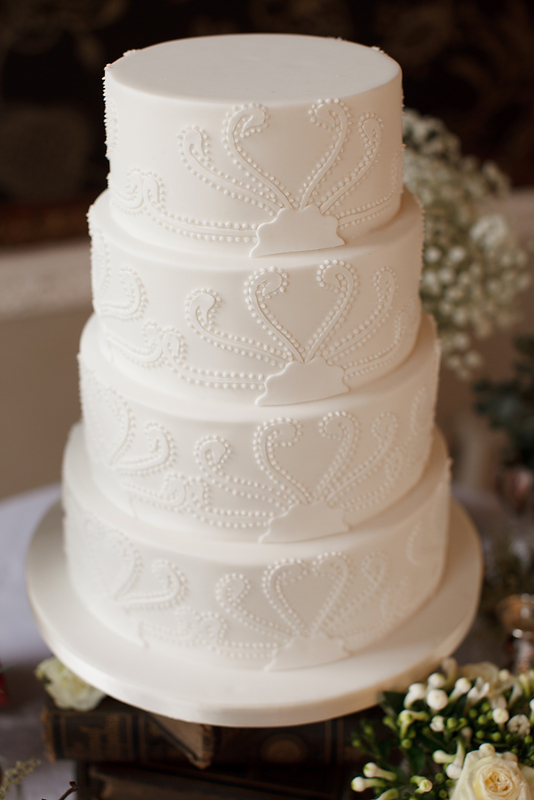 Want a free Buddy Valastro (aka The Cake Boss) wedding cake? Then consider booking your wedding at the Princeton Marriott at Forrestal. The hotel is luring in prospective brides by offering a chance for a free cake “experience.” Are you game? We lurve looking at our own blog! Seriously, a chance to look back at all the pretty that we see, curled up in a comfy chair with a cup of tea – bliss! So this week, we’ll begin doing just that in our round-up. Today, we celebrate pink with our Top Five Pink Cakes! Is there anything more romantic than cascading roses? Ah, we think not. Pink and chocolate – yes! yes! yes! Christen’s wedding cake, enrobed in beautiful ganache and garnished in pink, makes our mouths water. This cake makes me want to jump up and down, clap my hands, and squeal with sheer delight (and seriously. That’s not normal.) Pink cotton candy cake. Squeeee! And…my very favorite pink wedding cake, perhaps of all time. Palest pink, trimmed with lacy white royal icing. Perfection. And what are our friends up to? Well, I’m very glad you asked! Ya know…we love “Things in a Jar.” Well, apparently so does Emmaline Bride. Check out this post which gives you all kinds of great Christmas jar ideas! Love the Christmas cupcake and Winter Wonderland especially. Checking in on our favorite girl crush Erica O’Brien, we’re happy to see that she and Co. will be offering classes in their very brand new location starting in January! Give the gift of creativity (and YUM!) if you live in the Hamden, Connecticut, area. A quick and charming look back at Thanksgiving one more time, as we head excitedly into the winter holidays: Jasmine of Couture Cakery created this lovely Thanksgiving sweets table for her own family get together. Muppets? Wedding? Muppets Wedding? Well, sure. (Warning: Seriously adorable things ahead.) From Disney Wedding Blog. Fan-flippin-tastic rustic autumn wedding, courtesy of Wedding Chicks! The bride’s boots! The touches of brown! The vibrant fall colors! Gah! We’re in LOVE! From Want that Wedding – a stunning photo shoot of a fantasy Twilight: Breaking Dawn-inspired wedding…with a British twist. Beautiful cake by Janet Mohapi-Banks.